Canobie Lake Park opens for the season on May 5, 2018 and is a fun day trip from Boston with so many fun amusement rides, entertainment, and more! 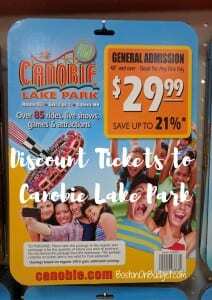 Canobie Lake Park is located in Salem, New Hampshire and there are many different ways to save on admission tickets. Regular price admission to Canobie Lake is $39 at the gate for adults and $29 for seniors and children under 48″. Admission is $26 for everybody after 5pm. Children 3 and under are free. The $30 ticket can be used any day for one person during the 2018 operating calendar. 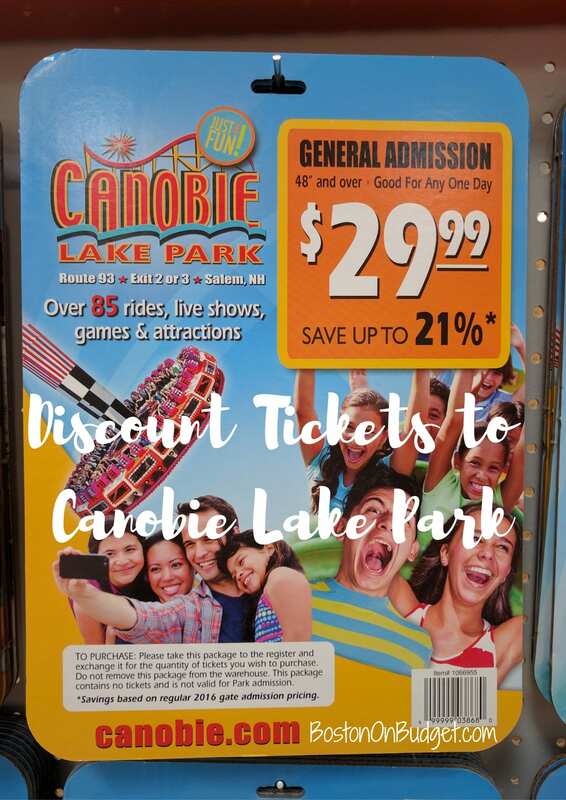 If you are planning to go to Canobie Lake Park this season, this is a great time to buy your tickets to use for later! First Responders (Police, Fire, EMTs, etc.) with valid ID can receive free admission on any Friday from July 6 to August 31, 2018. Also, in the past Costco members could get discount tickets for $29.99 for general admission, as you can see in the picture above. I haven’t seen the discount tickets at my local Costco yet, but it’s still early. Also, make sure to check with your employer or special organizations to see if they offer any discount tickets, you may be pleasantly surprised to find some deals! Don’t forget to check Canobie’s specials page for even more discounts to see if you qualify for any special offers. What is your favorite way to save at Canobie Lake Park?